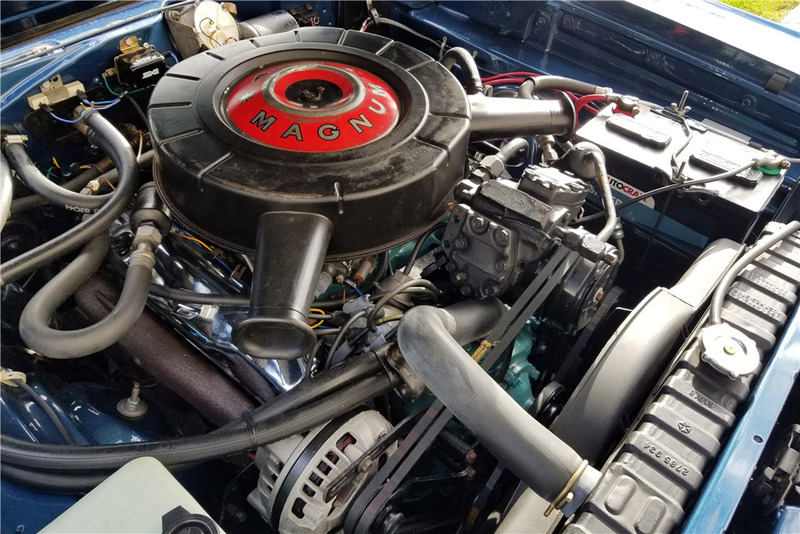 With power steering, power brakes and factory air conditioning, this 58,000 original-mile-car (the title reads mileage exempt) was in great condition, and in 2007 had a fully documented (on CD) powertrain restoration performed in Wisconsin for $22,000. It is powered by the correct 440/375hp engine with the correct 727 TorqueFlite automatic transmission, 3:55 8-3/4" rear differential and a long list of factory options. This car has original sheet metal with only one repaint using a PPG base coat/clear coat system in its original shade of Bright Blue Ploy. 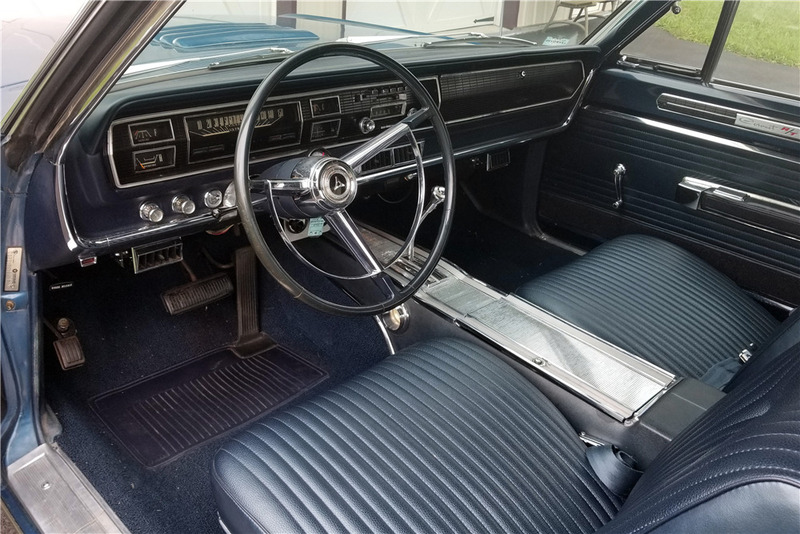 Extensive documentation includes the original Window Sticker, Mopar Broadcast Sheet, Fender Tag Certicard, manuals, previous title copy and photos. In addition to all the factory documentation verifying this is a real R/T car, it comes with documentation reports from Mopar Expert Galen's Tag Service, LLC, including verification and decode of Fender Tag, Broadcast Sheet and Galen's two-page registry verification. A nicely restored and maintained original steel Mopar.